Home » Games » Fallout 4 » Vanity Or Self Defense – Why not both? 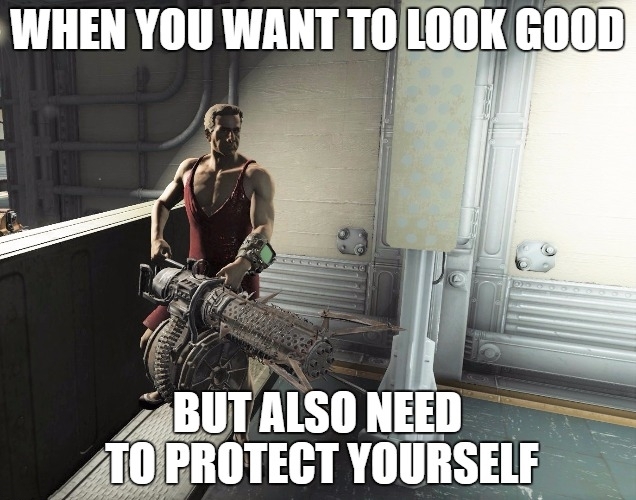 Why choose between looking good and staying safe? Trade in that purse for a minigun. You won’t regret it. Update: Sources within the fashion industry say semi-auto grenade launchers will be a huge part of the fall lineup.